Finland wants to be a world leader in 5G. A Finnish operator has become the first in the world to make high-speed 5G mobile internet officially available. Telecoms service provider Elisa started selling 5G subscriptions, for the commercial use of 5G networks, and it was the country’s Minister of Transport and Communications, Anne Berner, who used it first. She made a video call to the Minister of Economic Affairs and Infrastructure in Estonia, Kadri Simson. Besides offering 5G for the first time, this was also the first time Elisa offered a GSM telephone call through its network. According to Berner, Finland wants to be the world leader in 5G technologies, and is ready to put its money where its mouth is. The Ministry of Communications will allocate the first licenses to the 3,400-3,800 megahertz frequency band in autumn. 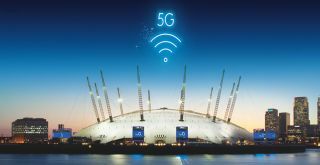 “With the help of 5G services, consumers as well as corporate and institutional customers will get lots of new value when modern applications can be used more efficiently and it becomes possible to develop new applications. For example, it will be possible in the future for all viewers to watch the same football match as a high-quality live broadcast without delay using any terminal device”, says Elisa’s CEO Veli-Matti Mattila. 5G is seen as essential for the success of new technologies like IoT and driverless cars.